With Lenten season fast approaching, many people take part in the traditional Fish Fry Fridays. Along with chicken wings, beef on weck and sponge candy, a Friday Fish fry is a Buffalo food staple—year round. 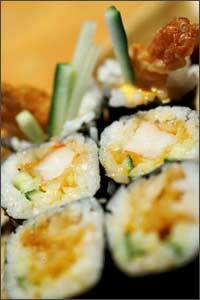 Many of these restaurants also feature a nightly fish fry, rather than your standard Friday night fry. So if the weekend doesn’t work, you’re still in luck. Best part of a Buffalo fish fry, other than the taste, freshness, and homemade sides? It won’t break the bank. An entire fish fry won’t cost you more than $10 and includes all of the above. 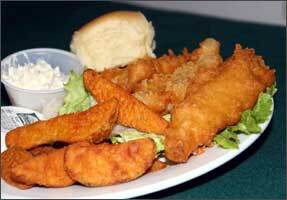 Do you have a favorite place for a fish fry or feel that you’re an “insider” on the Buffalo Niagara fish fry scene? Feel free to share your discoveries and opinions on the best places out there. After making a visit to the Albright-Knox Art Gallery to view the newly installed Action/Abstraction: Pollock, de Kooning, and American Art, 1940-1976, I not only walked away learning about Abstract Expressionism, but left with a tremendous appreciation and admiration for the gallery’s permanent collection. This is the first major U.S. exhibition in twenty years to reconsider Abstract Expressionism and the art movement that followed. To a frequent visitor of the Albright-Knox Art Gallery, it seemed at first that the exhibit showcases many of the important works from the gallery’s permanent collection – Jackson Pollock’s Convergence and Willem de Kooning’s Gotham News to name a few. I was told about 25 percent of this national exhibition actually consists of works owned by the Albright-Knox. However, once you see the gallery’s feature pieces, next to other great works created by Rothko, Krasner, Oldenburg and Guston it hits you like a ton of bricks – the Albright-Knox Art Gallery cemented its place in art history back in the 1950s by having the guts and foresight to collect these works, quite often with the paint still wet on the canvas. 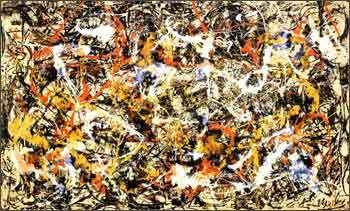 Simply, Buffalo has been the home to Abstract Expressionism long before the importance of these artists were widely recognized. The exhibition is broken up in four distinct areas: historical perspective on Abstract Expressionism, sculpture, paintings, and an exhibition of Buffalo’s role in the movement. There is a fantastic exhibition guide with something for everyone. From the serious art scholar to children, the guide provides tons of information and fun for all. You have until June 10th to witness what Buffalo, New York and Abstract Expressionism mean to the art world. Visit www.albrightknox.org to learn more about this exhibition. It’s February so let’s face it, it’s still a little crisp outside when you live in Buffalo but to the running community, temperature is rarely a deterrent for an opportunity to lace up your Nikes and hit the pavement. With the Botanical Garden’s “Dash for the Dome” being the first race of my life, and therefore not classifying myself as a member of any “running community”, I was a little nervous about looping South Buffalo’s South Park in a 5k race in 30 degree temperatures. But after 30 minutes and 57 seconds (and one harmless blister) later, the race was over. 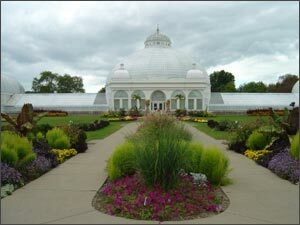 Post party festivities took place right inside Buffalo’s Botanical Gardens and so starts my inspiration for this post. The Botanical Gardens truly is a gem for this community. No matter what the temperature outside, inside the mercury never dips below 72 degrees. The plants inside are arranged in classic Victorian style and similar plants from throughout the world are grouped together. Although there are some plants native to our temperate region, most of the plants call the tropical regions of the world their home. The Rainforest Garden, which includes its own Koi fish pond, along with the Dinosaur Garden are my favorite areas to explore. While the Gardens are open 10am-5pm 363 days of the year, you might want to consider planning your trip around their annual Spring Flower Show in April or their Poinsettia show in December. Granted the Gardens boasts numerous events throughout the year, but these two standout at the top of my list. So get out there to stop and smell the roses….or orchids….or daffodils….or bonsai tree? This weekend, I went to see the musical Mamma Mia! 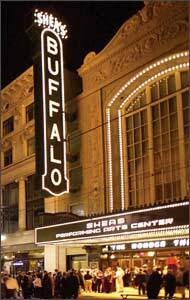 at Shea’s Performing Arts Center.Shea’s is located in the heart of Buffalo’s Theatre District, which is home to a dozen different theatres. The playhouse itself is a very cool 1920’s venue, built in the style of a European opera house with a Tiffany-designed interior. It’s worth taking a trip just to see the theatre itself (and if you’re interested, Shea’s offers guided tours). It has ample seating—with just over 3000 plush seats, and there isn’t a bad seat in the house. In addition to its orchestra and balcony seating, Shea’s also has loge seating, which is a lower level of the balcony, and mezzanine seating along the sides. It has amazing acoustics (Neil Young played here last year) and isn’t just one of those of externally good looking theatres that leaves you sitting in near silence, squinting in your seats to see the stage. The great thing too about Shea’s is that it offers more than just a great venue, with an outstanding events calendar. Shea’s showcases huge Broadway musicals, plays, comedians and even rock concerts. Its Broadway season runs from September-June, and features some of the best Broadway shows in Buffalo. The production of these shows and quality of the seating is right on par with seeing a show in New York or Toronto. There are still three remaining Broadway productions: The Wizard of Oz in March, A Chorus Line in May and The Color Purple in June. There are also special engagement shows that run throughout the entire year. Airport navigation: No getting on underground trains or maze-like terminals here. The Buffalo airport is one long straight terminal. There’s no excuse for not finding your gate, just walk the line. The airport itself is right off I-90, making it very easy to find. Low-airfare carriers: Thanks to carriers such as Southwest or Jet Blue, it’s extremely affordable to fly to and from Buffalo. An average Buffalonian’s monthly chicken wing budget is more than a flight to Washington DC. Parking: both at the airport and “park & flys”: There’s always ample parking at the airport, with a shuttle promptly waiting to pick you up. For my friends and family that live two hours from Buffalo, they frequent the many “Park and Fly” specials at the local airports hotel properties. For one price you can stay overnight before your flight and then leave your car at the hotel while you’re away. The new Anchor Bar restaurant: The original home of the chicken wing now has a pub and wing joint in the terminal. Due to the glass and steel design, the building just looks cool. My family and I are always looking for activities to keep us active until summer arrives. This past weekend we visited Explore & More Children’s Museum in East Aurora. This attraction is geared for little ones and my 5 and 3 year olds fit right in! Upon arrival my boys headed straight for the exhibit “Building Curiosity”. Here they put on construction gear, grab some tools and get straight to work building a house or whatever their imagination allows. Then, we moved on to the Frank Lloyd Wright themed architecture center where blocks of all different shapes and sizes give children a chance to design and construct their own masterpieces. Our next exhibit brought us to “Culture Corners” and we discovered how canal locks work with a hands-on exhibit. Next, we entered international countries and used different musical instruments, clothing, wind mills, and more to see how others live around the world. We also visited the food exhibit, rock climbing wall and fishing boat for a fresh ‘catch of the day.’ Overall this was a great way to spend the afternoon! Explore & More has many special programs and events throughout the year. While you’re in East Aurora save some time to visit Toy Town Museum and Vidler’s 5&10 Cent Store, two more of many family friendly attractions within this quaint village.